National Parks are often quoted as America’s best idea – in 1872 Yellowstone became the first national park to ever exist, and its protected status sparked an idea that spread across the country, and then across the world. In 1916 the National Parks System was born, and since then, the US has declared 58 areas of natural wilderness to be a protected national park. Destinations Yellowstone, Grand Canyon, Yosemite are world famous, and draw enormous crowds from all corners of the globe, though there are many parks that fly under the radar, that even Americans overlook. Hot Springs National Park is different than any other park you will visit. There is no entrance where you pay because the town of Hot Springs forms part of the park. The historic bathhouses have been turned into a gallery, a brewery, a gift shop, and a visitor’s center, which is sort of like a little freezing cold museum. Water is what first attracted people to this region, and they have been coming here ever since to use these soothing thermal waters to heal and relax. Rich and poor alike came for the baths, and a thriving city built up around the hot springs. Though nature lovers should fear not, as there are tons of hiking trails in the mountains and hills surrounding the town. Goat Rock Trail is one of the most popular and can be combined with Gulpha Gorge. As part of Utah’s Mighty 5, you would think more people would visit Capitol Reef National Park, but most skip over it for the more well known parks. In fact, I overlooked it myself on two Southwest US road trips, finally visiting when I found myself living a mere 2 hours away. And I ended up going back five or six times. 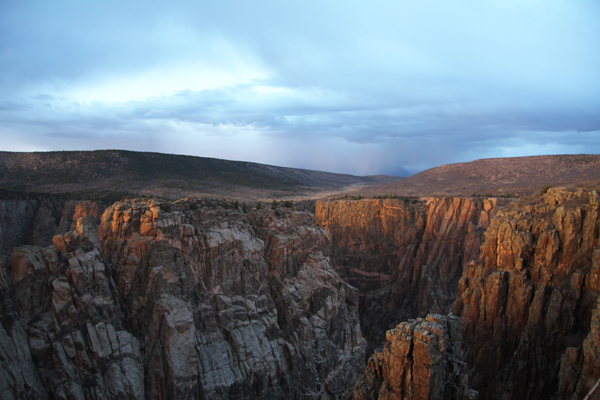 Located in south-central Utah in the heart of red rock country, this park is a hidden treasure filled with cliffs, canyons, domes and bridges in the Waterpocket Fold (a geologic wrinkle on the earth which extends almost 100 miles). And there’s something here for everybody. You can overlook the park at Hickman Bridge, pick fruit in one of the orchards (if it’s the right season), drive through Capitol Gorge, search for petroglyphs, adore the wildlife, and be awed by the Goosenecks. And this is just in the north part of the park. If you want even less visited areas, brave the rough Notom Road and check out the Waterpocket Fold and some cool canyons on the other side of the reef. I hadn’t even heard of this until we were planning out drive to Florida and needed somewhere to stop to break up the drive. The south rim is more popular than the north, but the drive between them is phenomenal and I would highly advise you make it if you have the time. There are hiking trails along the south rim and there is also a very steep road to take you into the canyon itself, right down to the river flowing through the bottom. One piece of advice, put in the park visitors center or it may take you down to the river and you’ll be in the totally wrong place. I would also highly recommend visiting at sunset. The way the sun shines on the canyon rock is fantastic and I could have taken a thousand more pictures of the same thing if it wasn’t so cold. 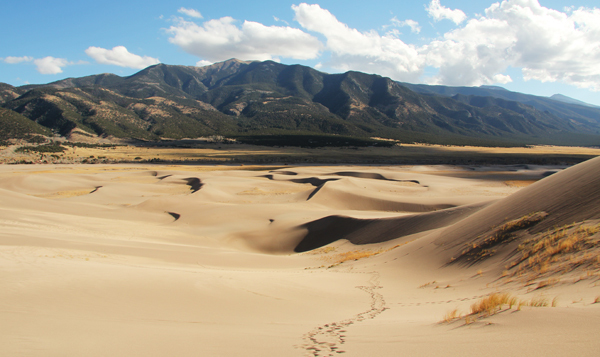 Great Sand Dunes in Colorado is such a cool park. Home to the tallest dunes in North America, these are the centerpiece in a diverse landscape of grasslands, wetlands, conifer and aspen forests, alpine lakes, and tundra. And you can experience this diversity through hiking, sand sledding, splashing in Medano Creek, wildlife watching, and more! Climbing the dunes was much harder than I anticipated, but you’ll have a blast. You can rent sand board in town to go sand sledding or sand boarding after having climbed up. The highest dune, of course with the best views, is over 700 feet tall. This is a really great leg workout! I would recommend sunglasses to keep the sand out of your eyes, and that you bundle up if traveling in the late fall and winter; it gets pretty cold, especially with the wind. 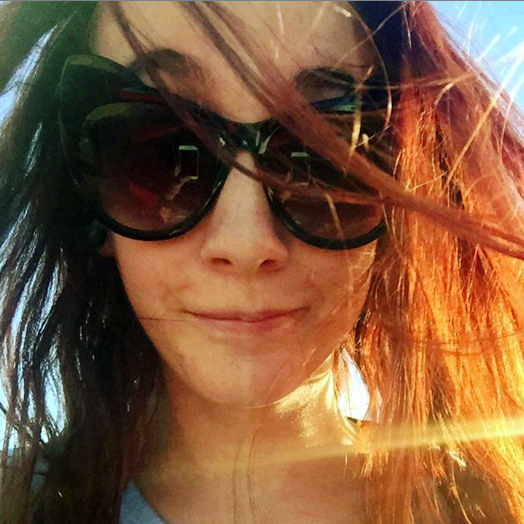 Megan is a Wisconsin native currently working her way around the US, exploring other countries any chance she gets. She loves to read, drink coffee, and hike, no matter where she is. If there’s a beach, you’ll probably find her on it. I love exploring Capitol Reef! I work a couple hours from it in the winter and it’s wonderful! I tried one of the cinnamon rolls and it was so good! I totally agree that national parks are one of America’s greatest ideas and treasures. I’ve not visited any of these four though so they are now on my list. I’ve loved every one I have been to so far! Yes! i make it a goal every year (as of a couple years ago) to go to 5 new parks and can’t wait to explore more! 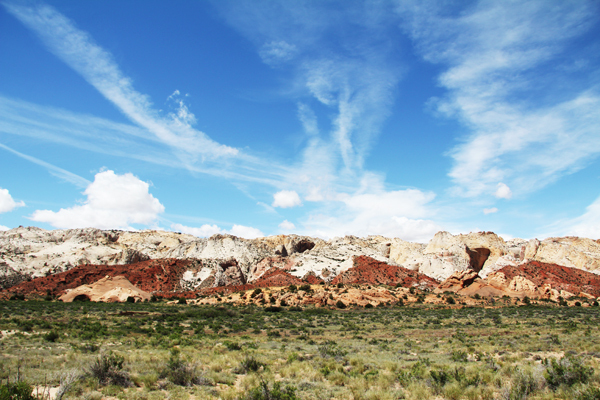 I’ve been to so many of these but Capitol Reef is one of my favorites! So crazy awesome!!! Awesome Victoria! Glad to hear another recommendation for Capitol Reef! Capitol Reef is amazing! Luckily I live near the backcountry side of it so I get to explore it a lot! We’d love to visit all of these Megan! We’re yet to make it to the US, but when we do we’re totally down for a lot of outdoor adventures! I love visiting the parks, especially the lesser known ones! There’s so much to see here, especially outdoorwise, it’s crazy! A road trip to all mainland national parks is precisely what the doctor ordered. We still have a few months to go before that happens, so articles like these help whet the appetite. Thanks for the pointers. That would be the dream road trip! It would definitely be an amazing adventure. A perfect post for National Parks Week in the US. And yes, I agree these four deserve much more attention. Thanks Donna :) Glad you enjoyed the post! The only one of these I’ve been to is Hot Springs National Park, which I thought was gorgeous. I’d love to visit the others, especially Great Sand Dunes. I had no idea the dunes were so challenging. It looks like another country in your photo! Thank you! :D I’ve made it a recent goal to visit five new national parks a year and I love visiting the much lesser known parks. I hadn’t heard of any of these until I was living out west and traveling around here a lot more. I had never heard of any of these parks! Shame on me! They all look beautiful and the Hot Springs NP has just jumped to the top of my list! I’d love to go and explore next time I’m in the States! Hot Springs was pretty cool and way different from any other park I had been to! So many to explore here! You are right, the parks are so beautiful and I should definitely check them out when I’m in US! Hope you have the chance to travel soon! I havent heard of these national parks before. They look beautiful! Next week I want to visit the Yellowstone next. Yellowstone is a beautiful national park indeed – I do recommend visiting in shoulder or off season though as it can get pretty hectic during shcool holidays and peak time. Thanks for sharing your trip to Zion Kenny :) Glad you’re a fan of US National Parks too! I love parks and being outdoor. I knew about the two parks in Colorado (they are on my travel list), but I am glad to discover the other two. Hot Springs National Park sounds like a true gem! Perfect excuse to plan another US trip :D! The parks really were/are a great idea. People spend a lot of time trying to visit all of the parks and see all of these features that make the U.S. landscape unique. I wish I had seen a few more of them myself. I didn’t even know about a few of the ones you mentioned here. You could easily make a bucketlist dedicated solely to US National Parks for sure! All of these National Parks look amazing. I hope to be able to travel across the US visiting the parks in 2019, so this is definitely a blog I need to remember. I want to see as many of them as possible – much prefer the nature to the cities. We prefer nature to the cities also. Happy travels! Thanks for these recommendations. I didn’t realize the Hot Springs was a National Park, nor did I know about the other three. They’ll be added to next year’s potential destinations! You’re welcome Roy :) Glad we could introduce you to a couple of new National Parks! Wonderful post! 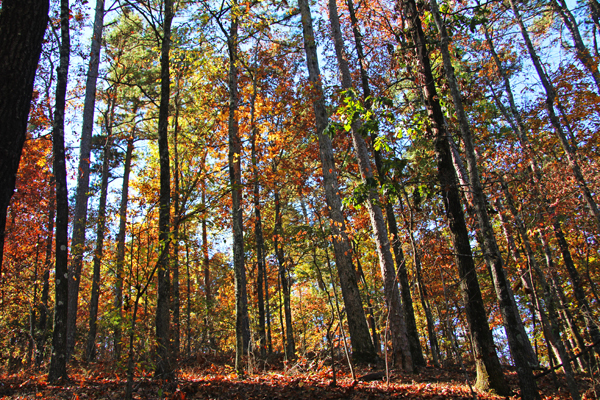 And thanks for sharing Hot Springs National Park! I’m an Arkansan:) All the parks look like great places to check out! Thanks Maribeth! I’m glad we could team up with Megan to promote some lesser known National Parks – Arkansas is the greatest!